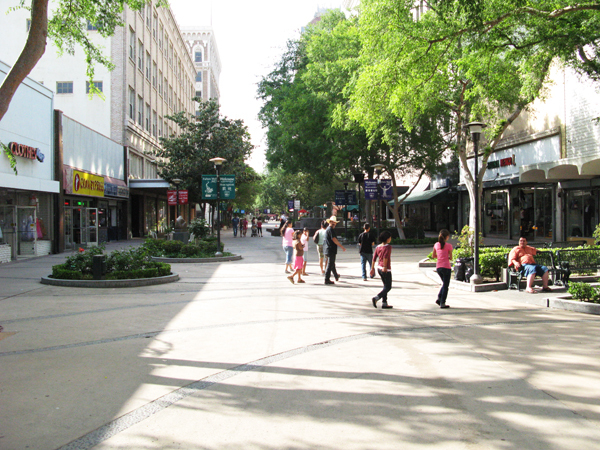 The architectural and planning firm Victor Gruen Associates was retained to provide a unified design for Fresno’s downtown area in an effort to maintain the city’s status as a regional retail center. 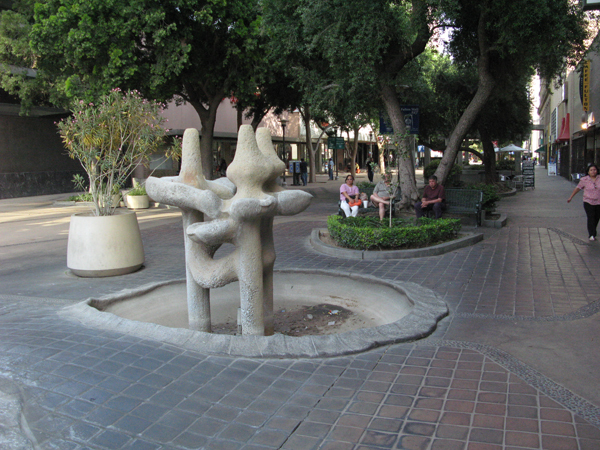 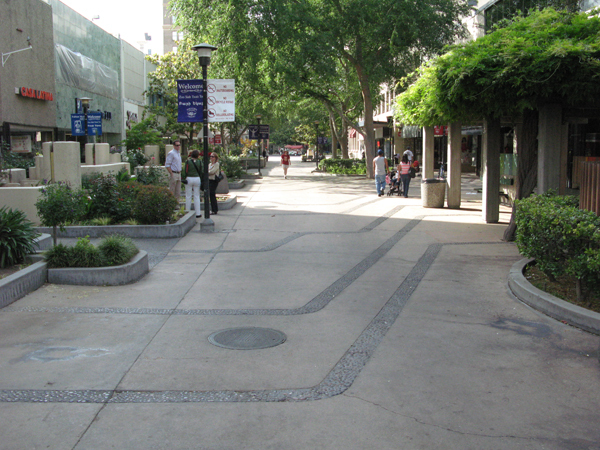 Gruen engaged landscape architect Garrett Eckbo to design the pedestrian mall that would become the centerpiece of the master plan. 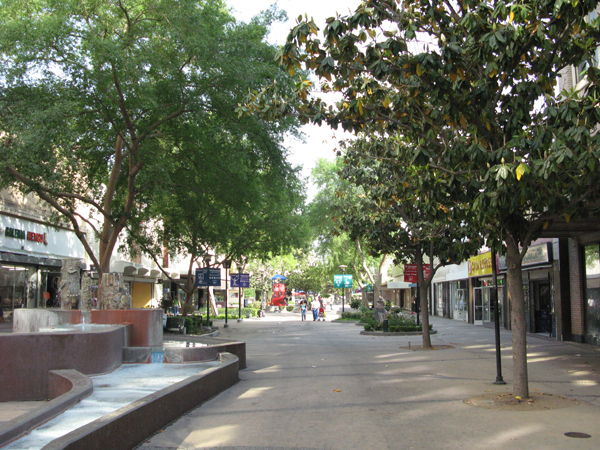 The six-block-long mall is divided into three equal portions by two traffic-bearing, transecting streets. 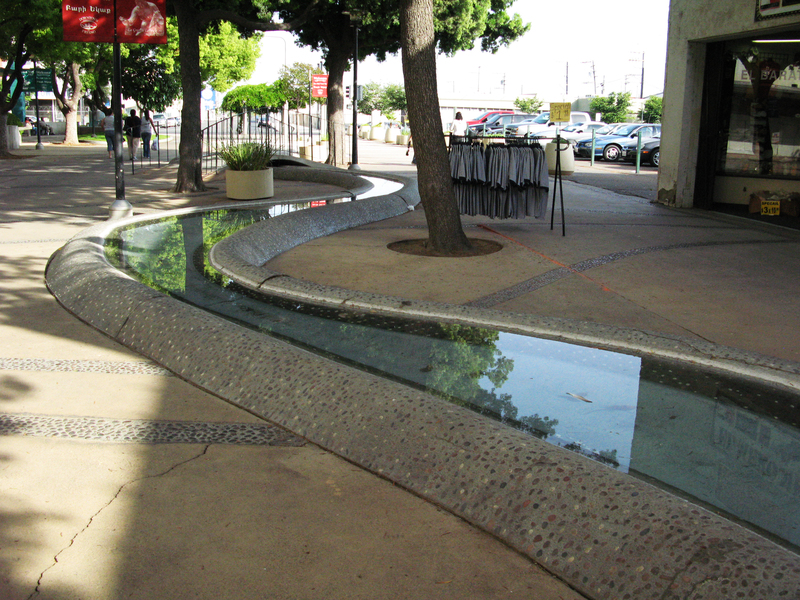 The 80-foot-wide right-of-ways are constructed of stained concrete punctuated by curvilinear and angular ribbons of concrete aggregate in reference to the rippled soil of the nearby San Joaquin Valley. 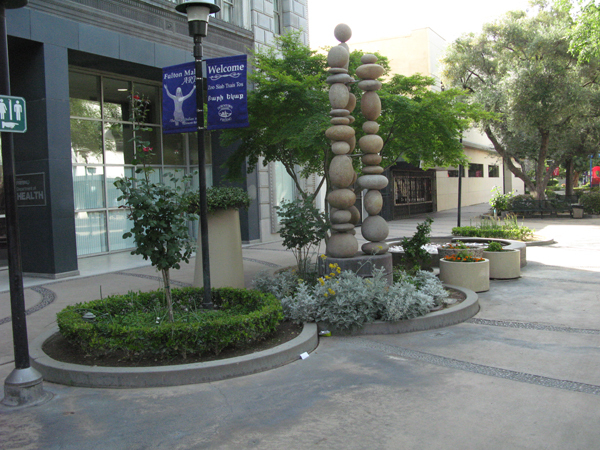 Nearly 200 trees and shrubs are sited throughout the mall in planting beds of varying sizes and elevations. 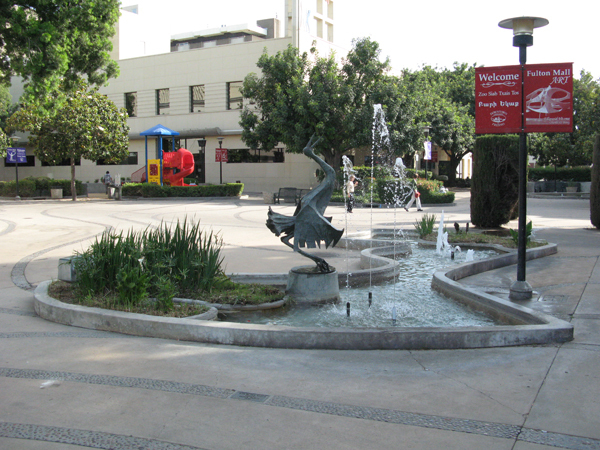 The complex also includes brightly colored seating areas of various sizes and configurations, play spaces, pools, fountains, and 19 free-standing sculptures. 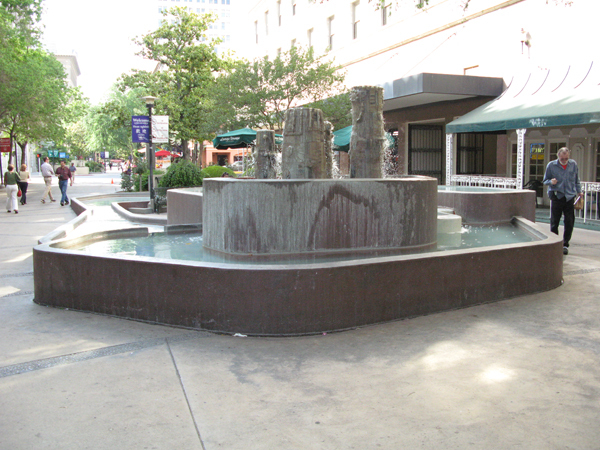 Considered a major achievement of Eckbo’s career, the mall was completed in 1964 and immediately received worldwide attention as a standard for civic design in urban renewal efforts. 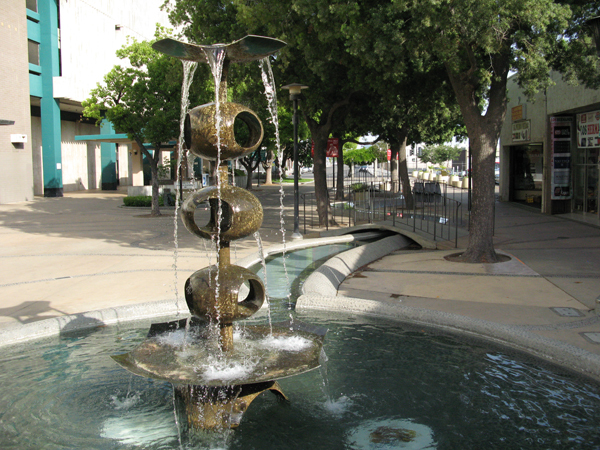 The modernity of the mall is tempered by the presence of several early 20th-century buildings along it.